Studio Owner — Originally from northern California, Hannah studied the social sciences at the University of California, Berkeley. She married a USAF fighter pilot, moved to South Carolina, and graduated from the USC School of Law. Hannah was a practicing attorney for several years before starting a family, and finally made Charleston her home in 2003. She loves living here with her husband and four children. A long-time running/spinning/tennis cardio junkie, Hannah went to her first Bikram class on the suggestion of a friend. Having attended several other types of yoga classes, Bikram was the first yoga class that satisfied her necessary “intense workout” component–in fact, she was “blown away.” Hannah spent the next year logging as much time in the hot room as possible, and now she practices almost daily. Although she still loves the difficulty of the workout, Hannah feels that the transcendence of mind is Bikram Yoga’s true jewel. In Standing Head to Knee posture, her mind simply cannot be elsewhere than with the body at that moment. 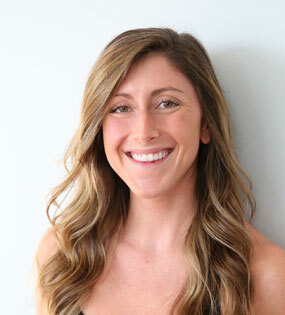 Hannah went to Bikram teacher training in Los Angeles in 2013, and greatly enjoys connecting with the practitioners in her classes. 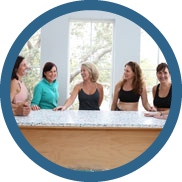 She is committed to providing traditional Hatha Yoga at 360 Yoga Charleston, in a kind, friendly and supportive environment. Heather was born and raised in the snowy mountains of upstate New York. After years of running and skiing in the cold, she was invited to a dear friend’s hot yoga class and quickly hooked! A lifelong athlete, she loved the challenge of Bikram yoga and ”warm” escape the 105 degree room offered. Bikram became a daily practice for her five years ago. It also led her to discover and study several other styles of yoga, meditation and spirituality, eventually completing a 200- hour, hot power vinyasa teacher training in 2013. Heather believes that yoga can open students’ hearts to the limitless joy of life– because she has experienced it firsthand. She feels the gift of yoga is priceless, and hopes to share this gift through lighthearted, positive, challenging classes. A promotion at work offered her the opportunity to move to Charleston last July and it has been one of Heather’s greatest blessings. Beach living agrees with her completely. When she’s not in the yoga room, you’ll find her surfing, biking or playing with her sweet pup, Honey Bear. Jen Bearden is originally from upstate New York, and attended the University of Delaware where she completed her Bachelor of Fine Arts in Photography. (Her work is on display throughout the 360 Yoga website!) Upon graduation, the need to pay bills and seek adventure led her to become a flight attendant for Delta Air Lines. It was there where she met her husband, Jim, and started a family. After moving to Charleston in 2006, Jen decided to pick up the photography business. Photography proved to be a wonderful creative outlet for Jen’s mind, but horrible for her lower back. At the advice of her yogi younger sister, Jen attended her first Bikram Yoga class in 2008. It only took one class and she was hooked. Jen has been practicing ever since, and started teaching in 2016. Jen is thrilled to be part of the 360 Yoga team. Caroline began practicing Bikram Yoga in Columbia, South Carolina after a doctor referral for heart palpitations diagnosed as Mitral Valve Prolapse. Caroline did not fall in love her first class, or her second, or her third, but after being persuading into turning her attempts in the hot room into a thirty day challenge, she was hooked. After months of steady practice, her MRI’s came back with a completely regulated heartbeat and zero pain. She was happier and able to manage stress easier than ever. She pulled every friend, family, coworker she knew into the hot room to see how awesome this series is. She continued her practice until she graduated college in May 2014 and took her first opportunity to go to Bikram’s Teacher Training in Thailand in the fall of 2014. She began teaching at her home studio in Columbia and quickly fell in love with teaching and hearing all of the amazing changes and improvements this series has had for her students. A promotion at work moved her to Charleston in 2017 where she had the opportunity to join the Bikram Charleston team and continue to share her love for this series. Caroline is dialogue driven and loves the opportunity to help new students, while also challenging advanced yogis take their practice to the next level. When Caroline is not taking class or teaching, she likes to spend time with her dog Sam and enjoy the beach! 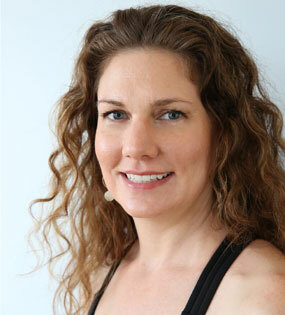 Sally took her first Bikram yoga class in September 2011. She has always been physically active but was looking for some peace amidst the chaos of teaching elementary school and raising 3 boys. What she found was not only a challenging workout but also a meditative practice that required immense mental and physical discipline. She was instantly hooked and practicing Bikram yoga became part of her everyday routine. She notices an immense calm and peace after practicing Bikram. She sleeps better, has more patience with others, worries less and loves more. Sally enjoys watching students transform and the smiles they get after accomplishing something new in their practice. She lives on the Isle of Palms with her husband Ryan and their three boys. Sally loves backward bends, coffee early in the morning, and walking the beach with her family and yellow lab. She is so grateful to have found Bikram Yoga Charleston and looks forward to teaching and practicing alongside you in the hot room! Amy Lane was born and raised in Atlanta Georgia. She took her first Bikram Yoga class at the age of 19 while studying at the University of Denver. While finishing her Master’s Degree in early childhood education, she completed a 200 hour Hot yoga teacher training. Amy Lane then attended Bikram’s teacher training in the Fall of 2006. After certification, she taught briefly at Bikram Yoga Marietta and then at Bikram Yoga St. Augustine. 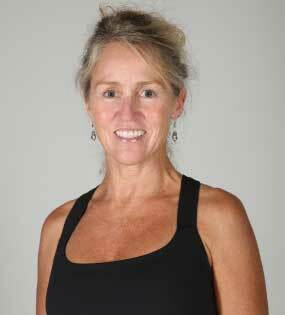 Amy Lane moved to Charleston in the Fall of 2009 to teach for Bikram Yoga Charleston. Here she met her husband and started her family. Amy Lane teaches from the heart. She is passionate about sharing her love of Bikram Yoga with others. “I learned about Bikram Yoga through one of my friends who had purchased Bikram’s book. I loved it. After that, I researched the Internet to learn all I could about Bikram. I especially enjoyed the 60 Minutes story about Bikram himself. I saw him running around and making students work hard. I said, “Man, I am coming there one day”. The closest studio to where I lived was five hours away. Finally after six months I end up taking a Bikram Yoga class at the North York studio in Toronto when I was visiting my friend. I was immediately hooked at the age of 55. Like Boss (Bikram) says, “You’re never too old, never too bad, never too late and never too sick to start from scratch once again.” And I did. “The Asheville, NC Bikram Yoga studio opened in spring of 2008. At that time, I drove 4-5 hours to practice Bikram there. I also took any other opportunity available to practice somewhere else. One day, when the Asheville studio owners were looking at teacher training pictures, I told them I had a dream to go to training. They told me I was ready. So I went to training in the Fall of 2008. That was the best time of life. Lisa has been passionate about fitness since she can remember – from swim and cross-country teams in high school to being an avid runner and weight lifter through university. It was while living in Brighton, England and working in a high-stress corporate environment and needing something new that she tried out Bikram Yoga in 2005, and she was immediately hooked. Since moving back to the US a few years ago, Lisa made a career transition from the corporate IT world into health and wellness. She trained as a hot and flow yoga instructor in 2017, obtaining a 500 hour yoga certification. She is also a certified Integrative Nutrition Health Coach and an Academic Life Coach – both through accredited international health coaching programs (ICF). She enjoys ongoing education in this field and has continued her education with yin yoga, gut health, and myofascial release advanced courses. She loves to combine yoga, meditation, and nutrition to pull together different aspects of health and be able to provide a well-rounded approach to teaching classes and workshops. Her favorite aspects of yoga are the development of self-awareness, stillness, and peace that float into all other aspects of life. She believes fully in the rich healing powers of yoga. The students in our studio never fail to impress her with their dedication to their practice. She is deeply honored to be a new member of this strong team. Born and raised in Richmond, VA, Ragin Kammer began her love for physical activity by dancing for 12 years of her childhood. She moved to the Lowcountry for college in 1993, and after falling in love with the area and her soulmate, decided to call this beautiful area home. It was during college that she reignited her passion for fitness by teaching group sculpting classes, Spinning©, and even took up running. Over time, between her dancing years and the impact of running and traditional aerobics, her skeletal system really showed signs of wear and tear. After a doctor diagnosed her with untreated scoliosis, that same doctor suggested yoga in order to strengthen the muscles around her spine. After one Bikram class, she was hooked! Although she is still passionate about teaching Spinning© (and the occasional long run), it is Bikram that has truly stolen her fitness heart. Ragin is also incredibly enthusiastic for encouraging people both in and out of the hot room, as she fully believes in helping others setting and achieving their goals. When she’s not at the studio, Ragin and her husband James have three beautiful daughters, who are all very athletic and active. If she had spare time, she’d love to read or travel. 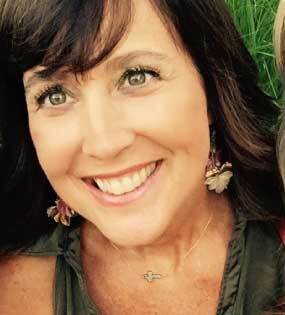 Be sure to ask her about her love and passion for foster children! Aylin is originally from Ann Arbor, Michigan but was never able to acclimate to the cold winters. She has always preferred the heat, so naturally, Aylin fell in love with hot yoga at her very first class in 2002. At the time, she was a full time real estate agent in Chicago and the Bikram Yoga studio offered her a place of great solace and rejuvenation. Eventually, Aylin decided to dedicate her life to helping others through yoga. She attended Bikram Yoga Teacher Training in Acapulco in the fall of 2008 and immediately started teaching full time in Chicago and Naperville, Illinois. It was one of the most rewarding decisions she ever made. Aylin was later trained in Hatha Yoga, Ashtanga, prenatal and Power Yoga. Although Aylin branched out to other styles of yoga, her true love is Bikram Yoga. She firmly believes that the series of 26 postures and 2 breathing exercises provides extraordinary therapeutic benefits to the body, mind and spirit. Finally departing from the harsh Chicago winters, Aylin moved to Charleston in 2016 with her family and absolutely loves her new home and studio. It has always been important to Aylin to continue her personal and spiritual growth. She continues to learn more by reading and attending classes and workshops. Most recently she became a Reiki Practitioner. Sam’s whole life has been about balancing the physical, spiritual and creative. Growing up her activities were painting, ballet, and piano. Sam went to art school in Brooklyn at Pratt Institute after transferring from the College of Charleston. She rode her bike into the city to take dance classes whenever she could fit it into her schedule between college courses. After college she worked at The Juilliard School, The New York Public Theatre, The Guinness World Records Museum and Spoleto USA as a painter and scenic artist. Eventually she moved back to Charleston and did art shows while always perusing a physical outlet, mostly at the gym at that point. On June 1, 2003, Sam took her first yoga class and it was da bomb! She bought an unlimited membership and started taking yoga every day. Six years later Bikram Yoga Charleston opened and it became her new yoga home. In 2011, she became a Bikram yoga teacher. Her journey is like the tortoise, slow and steady. Through asana practice, mediation and study, she is growing and learning more about all the aspects of yoga every day. She is thankful to have yoga in her life and be able to share it with you. Sam is inspired by nature. She sees its beauty in its many facets found every person, flower, animal, ocean, everywhere. Sam incorporates nature, and often yoga, into her artwork. It can be seen at www.SamiKatLong.com. A native of Atlanta, Marianna was introduced to Bikram yoga 25 years ago by Raquel Welch’s ‘Total Beauty’ video. Clueless about yoga, she practiced Raquel’s wonderfully addictive ‘routine’ in her college dorm nearly every night while studying philosophy at the University of Texas- Austin. Years later, a friend introduced her to the Bikram practice. Inspired, Marianna attended teacher training in Los Angeles in 1999, studying intensively with Bikram, Rajashree and Emmy Cleaves. Upon certification, Marianna taught in Houston for Mike Winters and later opened her own Bikram studio. 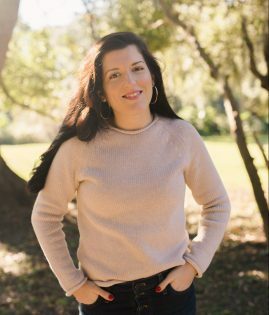 Drawing on 15 years experience as general manager/wine buyer at Robert DelGrande’s Cafe Annie in Houston, Marianna moved to Charleston with former husband chef Ben Berryhill to build a family and a restaurant. Raymond was born in November 2004 and REDDRUM restaurant opened in May 2005. Still going strong, REDDRUM has been voted ‘Best Mount Pleasant Restaurant’ for 10 years running. Raymond was voted funniest 4th grader. At Bikram Charleston Marianna is most happy sharing with students the therapeutic techniques and benefits of the Bikram series, as well as the more subtle esoteric aspects of yoga. An avid researcher, collector of ideas and student of most anything metaphysical, she likes to color outside the lines of straight dialogue. Emmy Cleaves is the voice in her head while she teaches. Marianna hopes her teaching is always informative, detailed and kind. She believes that knowledge empowers the practice, increasing student commitment to the yoga, and leading to greater self-understanding and awareness. It is her goal in each class to help students realize the very practical, spiritual, all-natural, beautifully powerful, medicine-magic that yoga delivers to the total body/mind. A family friend brought Annie to her first Bikram class in November of 2010. She was home from college in Charleston on Thanksgiving break. While she doesn’t remember much from that first class, she does remember the euphoric feeling afterwards, and thinking she had just discovered something really special. After practicing for several months, many of her psychological and physical ailments were alleviated. The series and the heat became a non-negotiable element of Annie’s routine. In 2014 after graduating from school she made the decision to attend Bikram’s teacher training in Los Angeles, with the intention to share this life-changing practice with as many people as possible. The best part about teaching for Annie is getting to see firsthand the multitude of ways that this practice can positively affect an individual’s life. She loves looking out across the yoga room and seeing people of all ages and abilities, working to heal and improve themselves. She loves getting to experience that first class all over again vicariously through new students. Though she wishes she could teach full time, Annie is now working as an art gallery director and pursuing an MBA at The Citadel. In her free time she can be found writing, tackling a new recipe, or playing with her two big cats. Wendy took her first Bikram Yoga class in 2002 and was immediately hooked! She never felt better in her life. Traveling as an International Flight Attendant for more than 20 years, she has found the health benefits of Bikram yoga to be unsurpassable. Her under active thyroid condition started to improve, and she is convinced this practice is changing her life. In fact, Bikram yoga has become her practice for the rest of her life! Graduating from Bikram’s Yoga College Teacher Training in 2003 was by far one of the most challenging events she has ever experienced. Wendy believes it was well worth the financial investment, as she knows it’s a return on a healthy, well balanced life — better than any 401K. Wendy taught yoga in Atlanta for 8 years before moving to Charleston in 2011. She is also certified in Yin Yoga, and Pre Natal Yoga. She is a part time teacher with Bikram Yoga Charleston, as she is still with American Airlines. Wendy loves practicing Bikram Yoga around the world on her layovers as it helps with jet lag, and she always learns something new from the teachers. Here at home, Wendy is an advocate for protecting the Charleston waterways and marine life, and volunteers and organizes fundraisers for Charleston Waterkeepers.